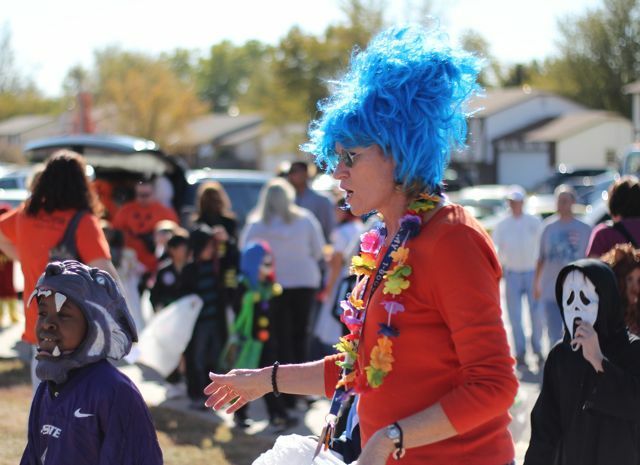 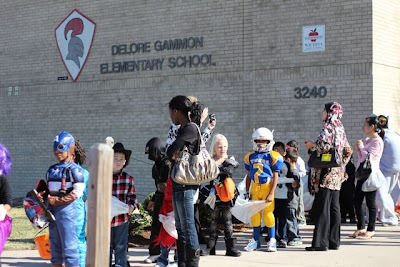 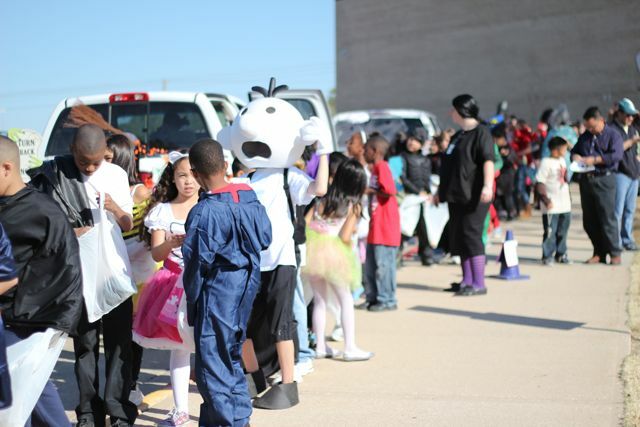 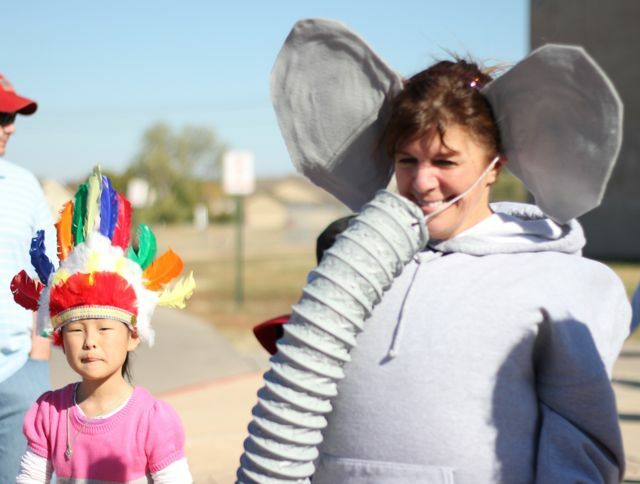 Gus' school has a costume parade & Trunk-or-Treat event every year in front of the school so that all the parents can line up and watch their little Halloweeners. 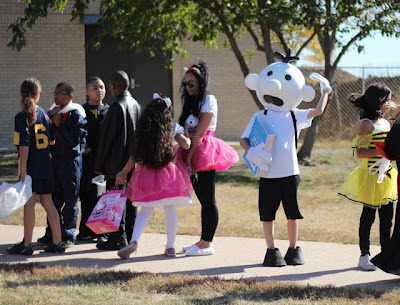 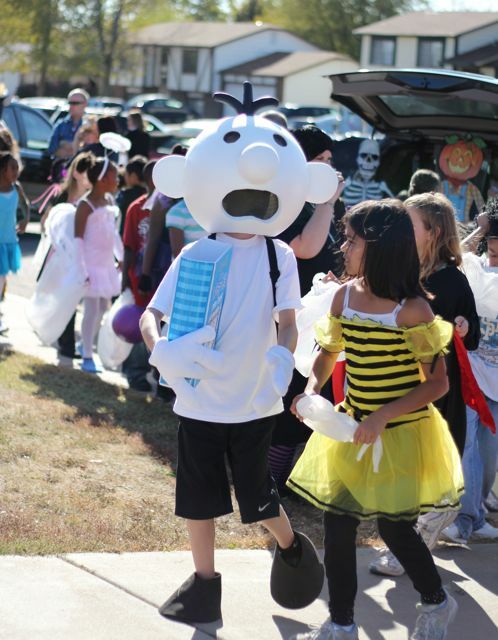 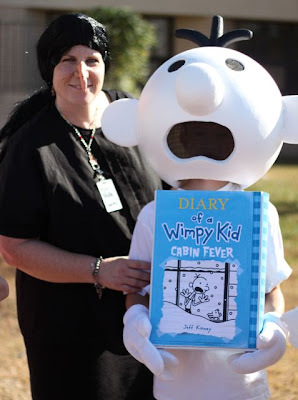 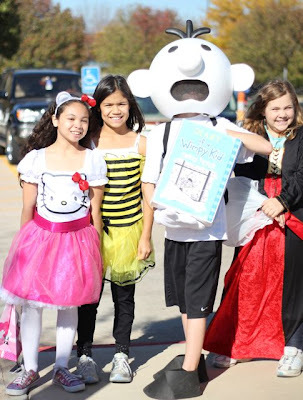 Gus made the rounds much better this year in his Wimpy Kid costume. 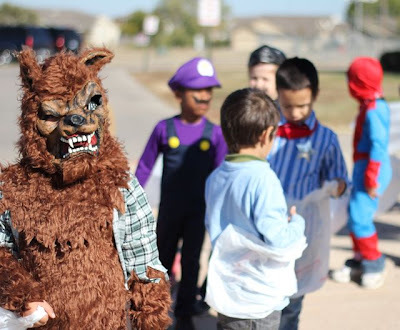 He could ALMOST see without too many problems. Which is better than last year. He was blinded, nearly blew over and sweated to death in his squirrel costume.